Memories are precious. We often store them in photographs and each one of us has some kind of a family album or simply a number of photos we cherish most. Many of them are still in their primal form, printed. It’s true, due to the digital era, saving those memories has become increasingly easier. You can easily digitize those old pictures you have but how do you deal with the fact that they can already be if not torn apart but scratched or otherwise damaged? Plus, the old photos tend to get worse with time so the longer you wait to digitize them, the harder it is to preserve them in good state. How can you repair old photos? 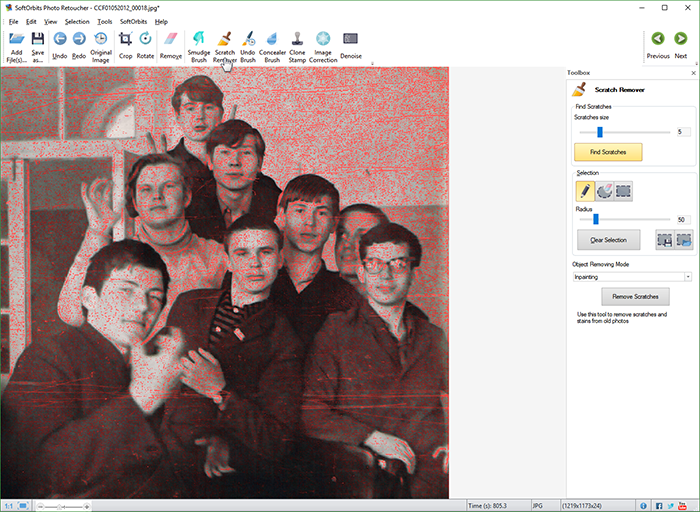 Sure, what’s advised to do, is to scan the photos and manually restore them, remove all the scratches and perform a photo touch up. 2. Add your images with Add Files(s). Once your old photos are repaired, you’ll be amazed how good they look. You can now print them again and get cool photo memories to show to your kids, friends and anyone else. Photo Retoucher can perfect your photos, making you want to frame them and hang on a wall. 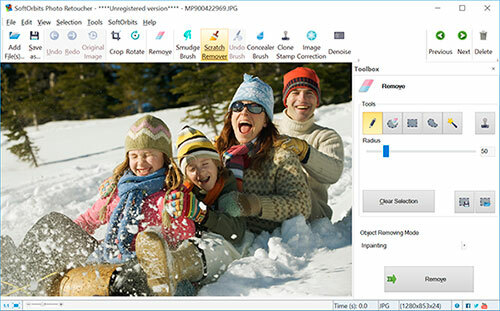 Clean up old photos, remove unwanted objects, do a touchup to produce a perfect picture out of an ordinary snapshot.